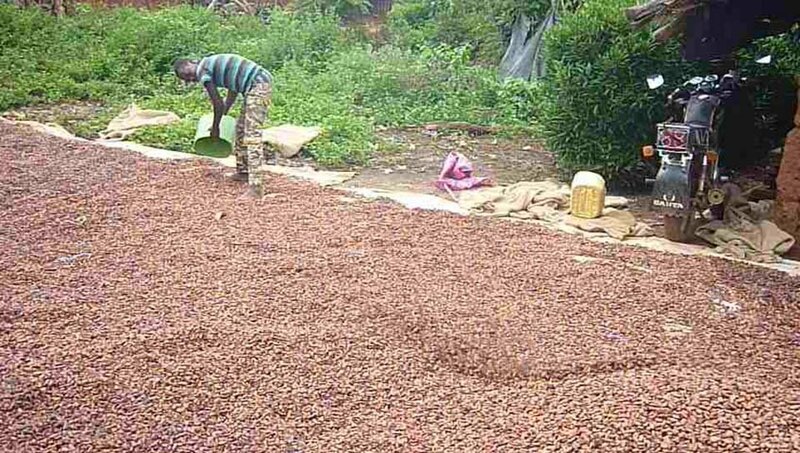 Mr. Ouedrago Abdoulaye is piling his beans in the middle so he can fill the jute bags before driving them to nearby Issia, where there are lots of buyers. He is using a cheap plastic bucket. Normally, this would demonstrate the dearth of quality tools, but in this case, he probably doesn't bother because it's hard to carry a shovel on a motorcycle when you're busy negotiating the potholes and other obstacles you encounter on your way to your farm. There are, after all, very few paved roads.